I think this should be a summer essential for sure! I had never seen one of these before until the other day at the park and me and my nervous to talk to new people self didn't hesitate for a second when I saw this mom pull out her Go-Pod. I had to know where she got it. I ordered one on Amazon right when I got home and it was delivered today. 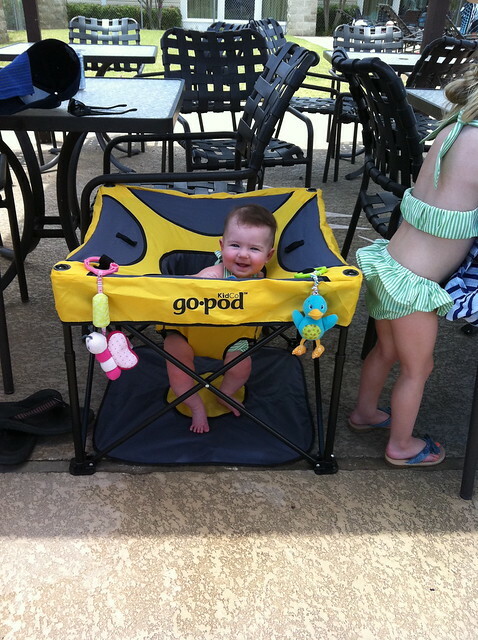 We took it to the pool this afternoon and McKenna loved it! I loved it! I was hands free and she was happy. The best of both worlds if you ask me. 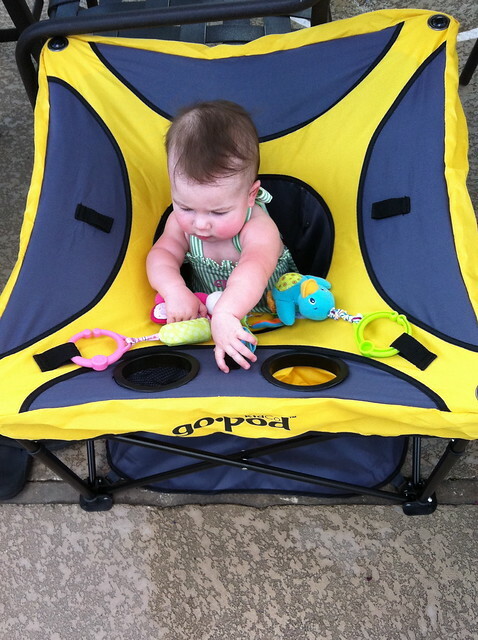 guess what is going to be on the baby edition of summer essentials... GO POD!!! This is brilliant! Ordering one now. Is there a attachable shade visor for a beach day?